Lee Wayside and Shepherd’s Tavern | slate river ramblings . . . . The February 10th post concerning Gen. Robert E. Lee’s camp in Buckingham County, located on the land of William Shepherd (Sheppard), generated some interesting discussion among readers of Slate River Ramblings. Readers wondered if the oak tree described by Camm Patteson still standing at Lee Wayside. There is no historic marker identify such a tree. Today, the spot has a dozen or so thriving oaks. Any one of them might be Gen. Lee’s oak tree or its descendant. Not far from the Lee Wayside, the chimneys of Shepherd’s Tavern still stand. 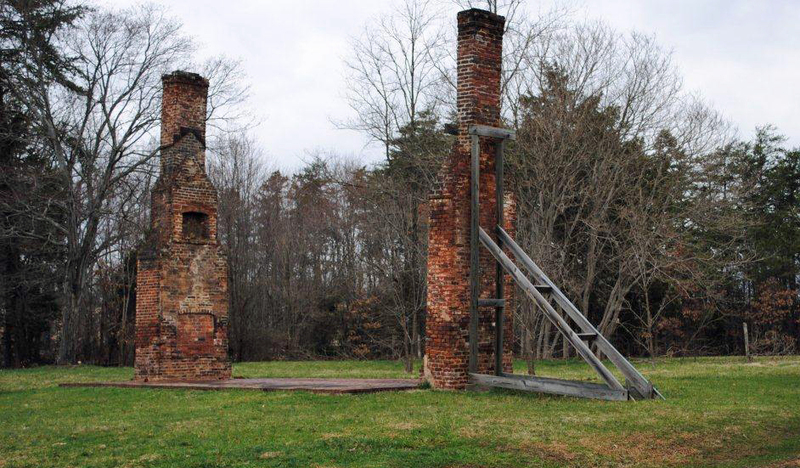 For more about Gen. Lee’s camp in Buckingham County see Rose Cottage.